On the corner of Federal and Alameda lies Diego Pellicer, a dispensary that has forever changed the cannabis retail standard. This isn’t exactly a fancy part of town, so I was surprised when we pulled up to a beautiful, completely renovated building. Walking inside felt a bit like walking into a European boutique; foliage and plants in every corner, hand-painted art hanging on the walls, the most beautiful wooden display cabinets I’ve ever seen, a Spanish architectural vibe. 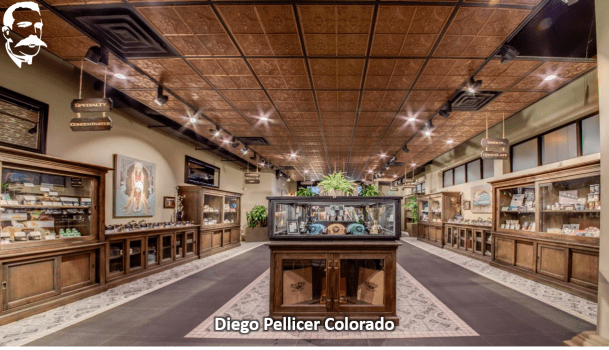 Diego Pellicer celebrated its one year anniversary on Valentine’s Day and recently won multiple awards at the 2017 Cannabis Business Awards, including: Best Retail Center, Executive of The Year, Manager of The Year and Budtender of The Year.